19. 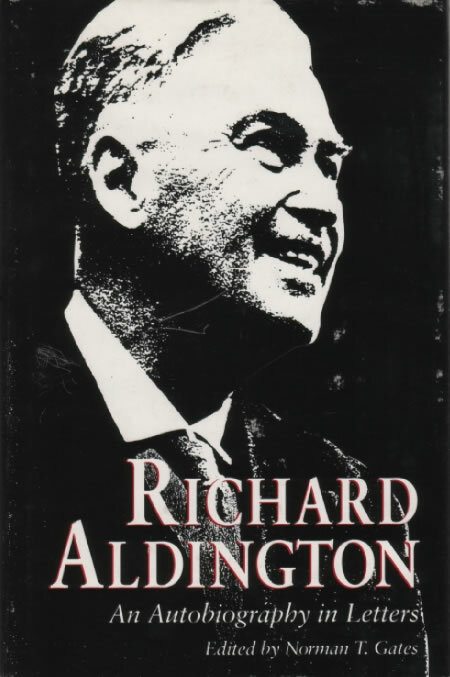 Richard Aldington: An Autobiography in Letters. Edited by Norman T. Gates. University Park: Pennsylvania State UP, 1992. Along with letters noted below, includes many pertinent to the study of Aldington’s relation with the Imagist movement (see index). a. To Babette and Glen Hughes (see A19), 7 August 1929. Writing from Paris Aldington recalls the beauty of the harbour at Toulon, which he believes ‘looks exactly like a set of Hokusai [Ap] prints at dawn’. b. To H. D., 18 January 1947. Aldington writes that while ill in bed in Greece he had ‘entertained’ himself with ‘books on Japan’ and ‘lovely Japanese colour prints (Toyokuni [Utagawa, Ap], Hiroshige [Ap], Kuniyoshi [Utagawa, Ap])’ that he had been ‘lucky enough to pick up cheap . . . owing to current prejudices’. c. To H. D., 2 September 1953. In 1915 Aldington mistook Pound’s adaptations of the nô for Chinese drama (see 4). Here he makes the opposite mistake, recalling Lowell ‘try[ing] her virgin hand at Japanese’, an apparent reference to Lowell’s work with Ayscough on translations from the Chinese (see BI10).